The first download of 2019! This comprehensive and powerful download gave us the simplest colors to work with, creating the possibility for strong new beginnings by building foundation. This quickly launched me into realizing that, for the rest of 2019, with one new download per month, we would have an entire series. It is so important to set a strong foundation in the beginning, and this download does just that. With the implementation of the color Red for root strength, then Blue for expansion. Yellow gifted to remind us of its rejuvenating properties when we feel depleted, and a shining Green Emerald implanted in our Hearts to keep us centered in Divine Love. With the comprehensive nature of this powerful foundation, I truly felt there is nowhere we cannot rise! Over and over again, this download continues to deliver. 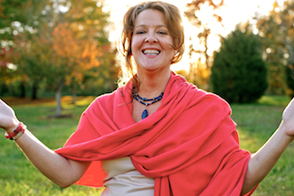 "As you feel this Red entering through your heart and going down to your root chakra, you may feel your spine adjust or shift or change, and the reason for that is because your foundation is being strengthened. It’s being enlightened as well." Take your time in receiving this. Feel what it feels like now to have Blue enter into your body. It desires to offer you shift and change and is reminding us that how we believe is how we receive and to expand our notions of what is possible. 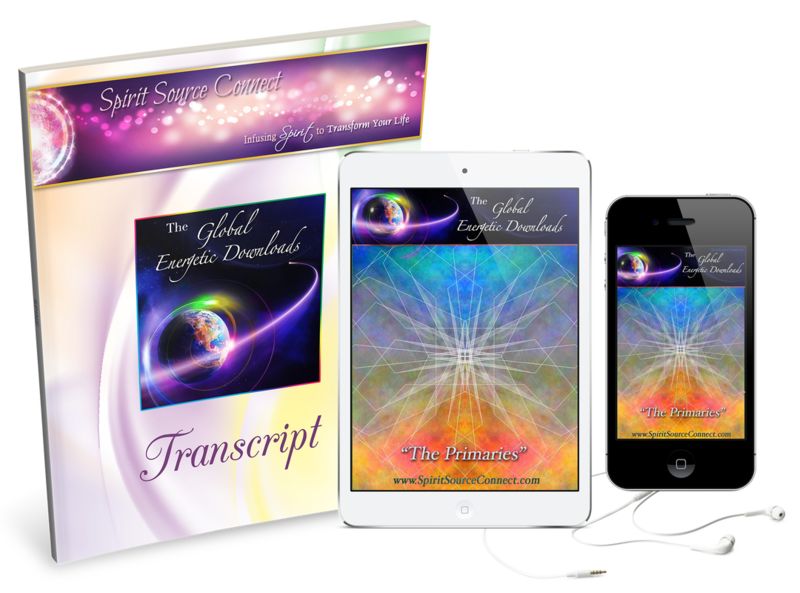 After just one listening, I would suggest that you pause and allow the intensities of these energies to integrate. You may need to sleep more. You may feel an incredible power come over you, and because of this, so many ideas of where you can go and what you can do will be bubbling up. Enjoy it! Enjoy all the shifts and transformations as they come to you! 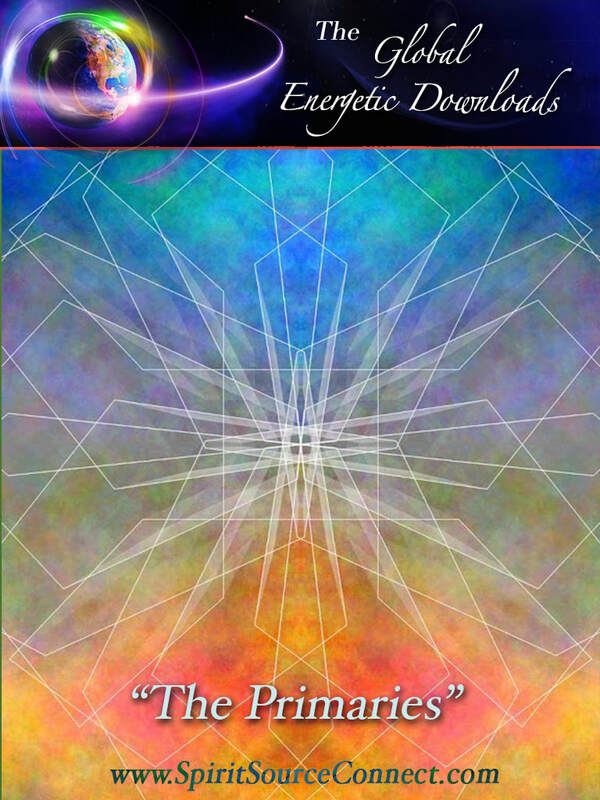 With your order of "The Primaries" you will gain access to .mp3 audio files and receive a beautiful printed transcript of the enlightening guidance as well. Many have kept these transcripts to read and reread over and over, providing them with reminders, inspiration, and upliftment.